Bristol Rack Cases are designed to provide a protective shipping and storage environment for your delicate instruments and electronic components. 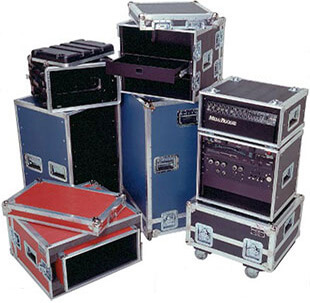 We offer a large selection of EIA standard rackmount cases built to your specifications including shock mounted, front and back loading, lift off and hinged cases, and an affordable line of vacuum-formed rack cases. Many custom options are available including drawers, shelves, vent and fan panels. All Bristol Rack Cases feature 1/8″ thick steel EIA standard rack hardware tapped for 10/32 screws to fit all rackmountable equipment. Bristol Case has been manufacturing custom cases designed to fit your needs since 1974! If you travel with valuable equipment, you may need the maximum protection that Bristol Case can provide. © 2019 Bristol Case. All rights reserved.